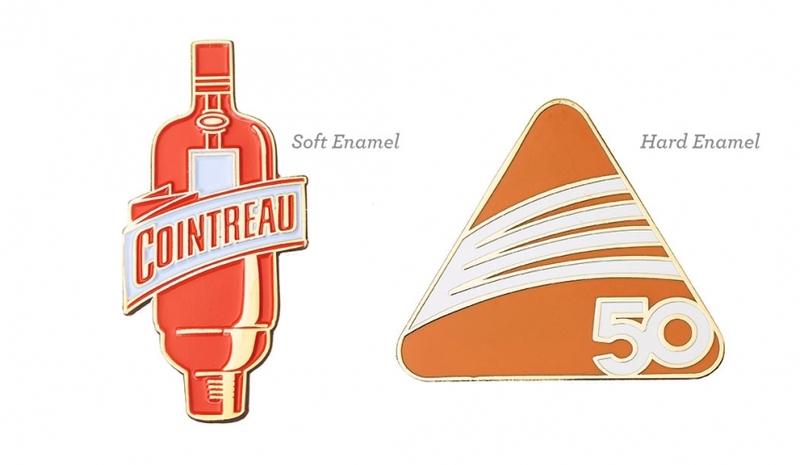 One of the most often asked questions is what's the difference between Hard and Soft Enamel badges. The short answer is hard enamel is polished flat and soft enamel has recessed enamel. The detail that can be achieved in the them is also different. First the image is stamped in the metal and cut to size. The badges are then plated in the metal plating such as gold or nickel. After this the enamel is added in the the recessed areas and put through ovens to bake the enamel hard. When dry the enamel clings to the edges and recessed below the metal die line (that stops the enamels mixing). This give the soft enamel the 'bumpy' feel when you run your finger over the top. We can add an epoxy resin coating to soft enamel to protect the enamel and give the effect that the enamel is smooth, this, to some can make the enamel appear flat but is not hard enamel. For hard enamel, the enamel is added before the plating is added, the enamel is added and polished flat to the same level as the metal die lines. Each colour must be baked in the oven one by one which adds to the process and cost. Once all the colours have been added then the badge can be electroplated and polished again to complete the badge. The numerous polishing process is why the badge can achieve slightly less detail than soft enamel and why some of the metal lines are likely to spread in production and be thicker than the original design. Our hard enamel process is a modern process of the traditional hard enamel process and the main difference between our hard enamels is the actual enamel. Traditional hard enamel use glass based enamels which means pantone matching can not be achieved and the enamel has more pigment.